Binoculars and a hidden object Moon poster let young participants discover how some tools can make distant objects appear closer and brighter. 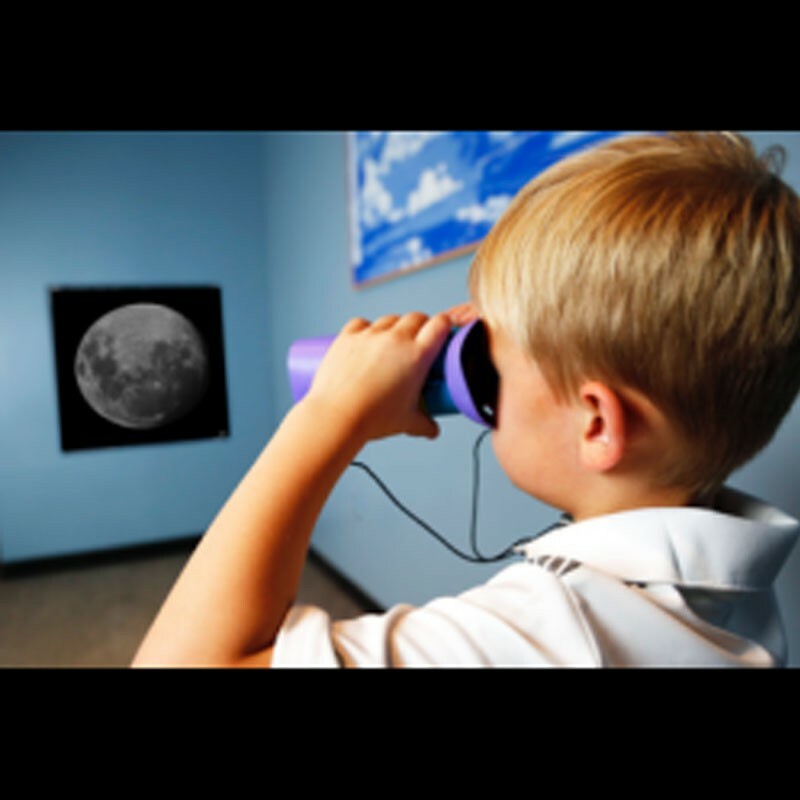 They also learn about how cultures around the world have viewed the Moon through books (and online pre-recorded cultural stories). Categorized Incorrectly? Let us know! Hints for uses in your library This activity was developed as part of a toolkit for museum staff and includes a suite of online resources in English and Spanish to engage learners in any setting. If you don't already have binoculars, see if you can borrow them from community members. Or, purchase kid-friendly binoculars from a retailer. In addition to reading books, play audio files available online at "World Tales of the Moon," https://www.lpi.usra.edu/education/explore/marvelMoon/tales/.